If you'd like to add an additional query to your topic, learn how to do so here. 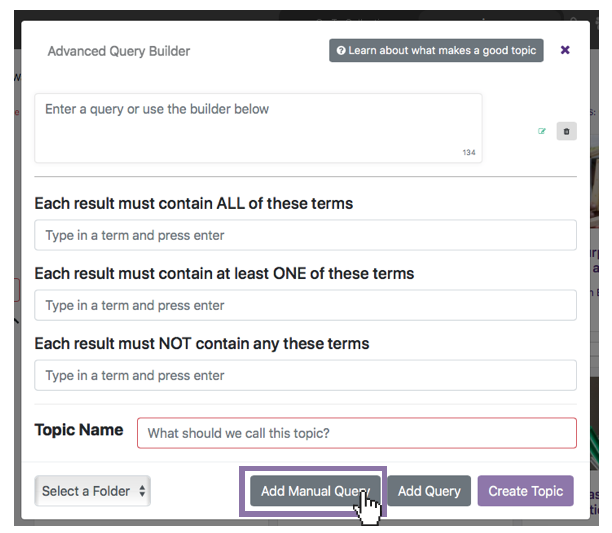 Adding queries to your topic is a good way to add more diverse sets of content to your topic. 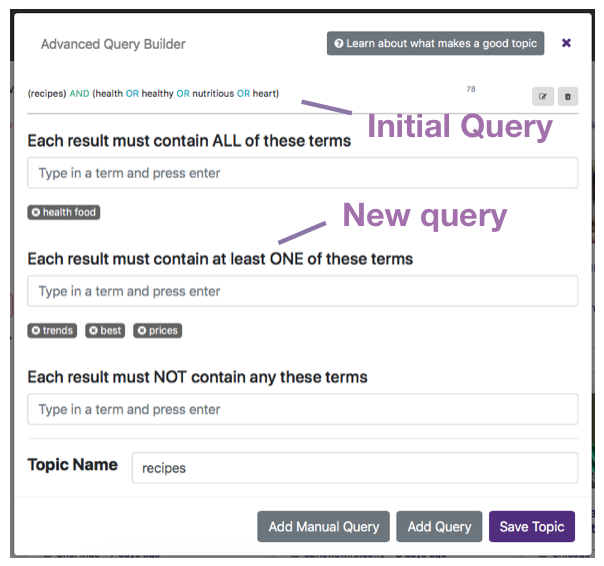 To add a new query, either create a new topic, or edit an existing one. Then, at the bottom of the Query Builder, click, "Add Query". NOTE: You need to have at least one initial query started before you can start adding additional ones. 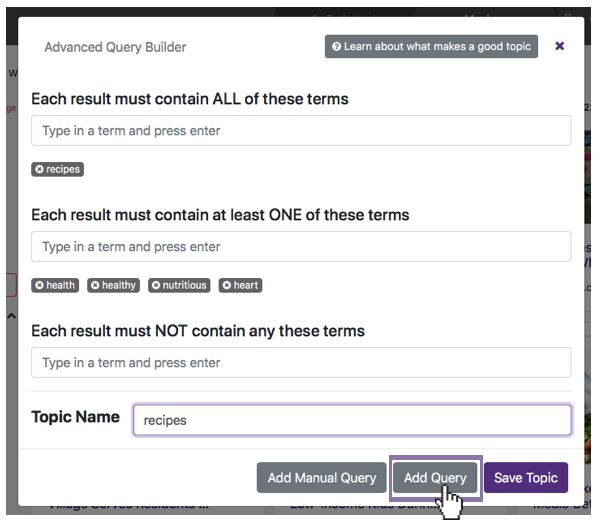 Begin typing your search terms into the Query Builder too add them to a new query. If someone has sent you a full query already, you can paste that into a new query line by clicking on "Advanced Mode" after you've clicked "Add Query". Then "paste" the query into the blank query line. Click "Create Topic" to save the changes and view your updated results.